After yesterday’s post, I thought it would be fun to share more writing prompts. 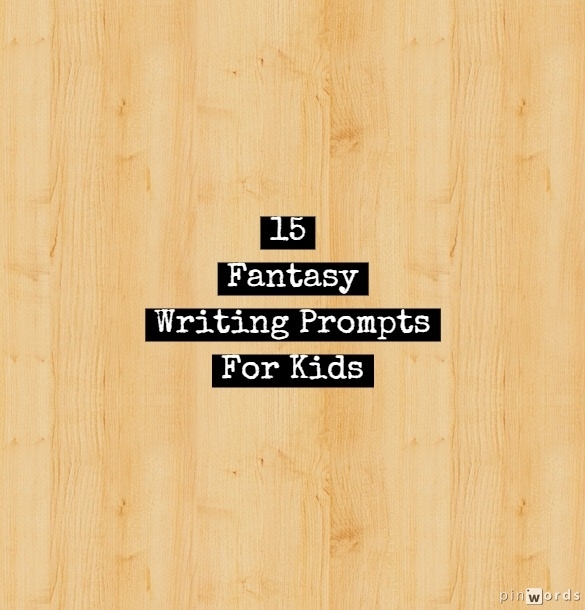 If you have a reluctant writer who loves fantasy, check these out! I hope you enjoy them! 1. You wake up one morning and find that unicorns have taken residence in your backyard. What do you do? 2. You follow a rainbow to the end. What do you find? 3. Your cat speaks one morning and tells you that she is really a girl who had a spell put on her by an evil witch. What do you do? How do you help your cat? 4. On a trip to the beach, you meet a young mermaid named Coral. She invites you to visit her undersea home. Do you go with her? If you go, what do you see. If not, why not? 5. You’re given a magic paintbrush. Anything you paint will come to life! What do you paint? What happens? 6. On a hike with your two best friends, you decide to explore a cave. Inside the cave, you find a dragon! What do you do? 7. Your Great Aunt Matilda has a large collection of garden gnomes. You begin to suspect that they are actually alive when one throws a pebble at your little brother. What happens next? 8. A huge storm hits your town. Thunder and lighting rage for hours. A bolt of lightning hits your local library and inexplicably brings your favorite literary character to life. Who is it and what do you do together? 9. You think that your piano teacher is actually a wizard. Your suspicions are confirmed when he puts a spell on you for not practicing! He shrinks you to the size of an ant for two hours. What do you do? 10. One day, you wake up to find that you have wings! Where do you fly? 11. At a birthday party, the hired magician accidentally turns the birthday boy (your best friend!!) into a toad! What do you do? 12. You little sister tells you that she thinks your father is a ware wolf. What do you do? 13. You hear beautiful music coming from your garage every night at midnight. What do you find when you get brave enough to explore? 14. One day, the fish in your fish tank start talking to you. What do they tell you? 15. While playing in the forest behind your home, you find a village of fairies. Do you approach them? What do you learn about these tiny creatures?